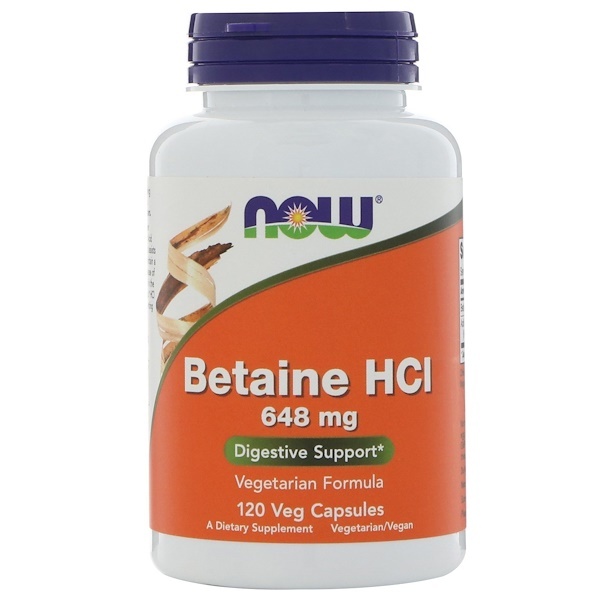 NOW Betaine HCL is formulated to support proper digestive conditions in the stomach. Hydrochloric Acid (HCL) is normally produced in the stomach, where is assists protein digestion by activating pepsin, helps to maintain a healthy balance of gut flora, and stimulates the release of intestinal enzymes. 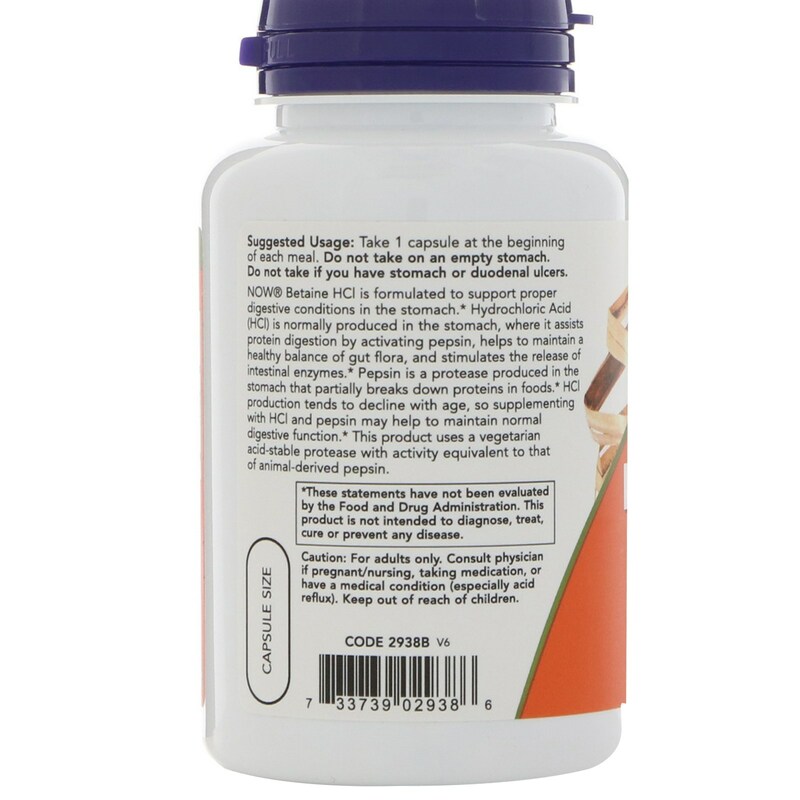 Pepsin is protrease produced in the stomach that partially breaks down protein in foods. HCL production tends to decline with age, so supplementing with HCL and pepsin may help to maintain normal digestive function. 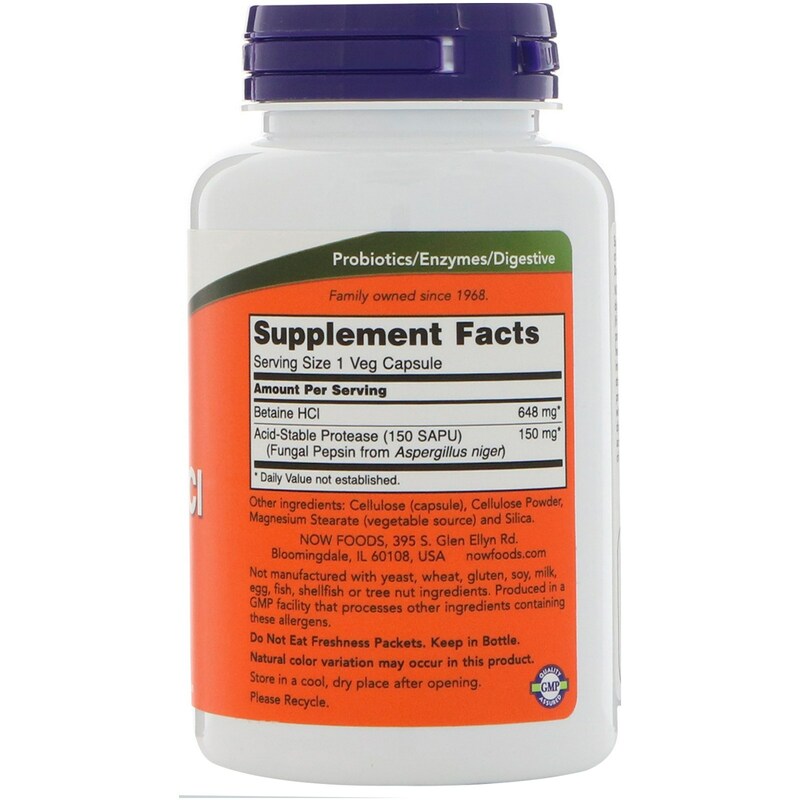 This product uses a vegetarian acid-stable protease with activity equivalent to that of animal-derived pepsin. Take 1 capsule at the beginning of each meal. Do not take on an empty stomach. Do not take if you have stomach or duodenal ulcers. Store in cool, dry place after opening. Caution: For adults only. Consult physician if pregnant/nursing, taking medication or have a medical condition (especially acid reflux). Keep out of reach of children.